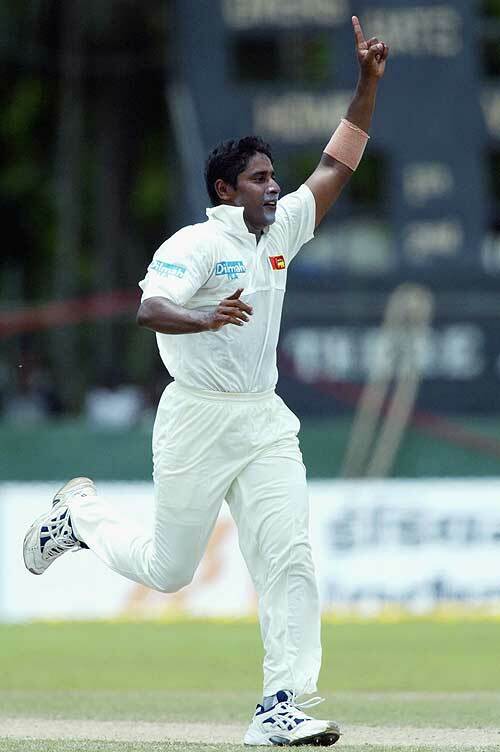 We will take a look at the five best bowling performances of Chaminda Vaas. Heissaid to be the best new ball bowler Sri Lanka has ever produced. You can even probably call him the second best Sri Lankan bowler ever after Muttiah Muralitharan. He has 755 international wickets to his name. Vaas was capable of swinging the new ball togreat effect. West Indies needed to win the pool game against Sri lanka in World Cup 2003 to reach the super six. Their bowlers did well to restrict Sri Lanka for a modest total of 228. But when West Indies came out to bat, Vaas broke the back of their batting order by getting Wavell Hinds and Lara very early in the innings. Then he took Gayle as well who managed to a score half century and in the same over he picked up Ridley Jacobs to almost end the West indian hopes. But this game is also remebered for the brave heroics of Sarwan; he was taken out of the ground on strecher after being hit by a bouncer and was later rushed to a hospital. But Sarwan returned to the crease to almost script a fairy tale win for the West Indies but ultimately fell short by 6 runs. Sri Lanka had never won a Test series against South Africa before this. First Test match of the series in Sri Lanka in 2004 yeilded no result. But the hosts were hopeful of doing it for the first time. South Africa needed to chase down 493 to win or atleast bat through to at least save the Test and series as well. Vaas was bowling beautifully in the fourth innings and did not give any chance to the vistors to save themselves from a humiliating loss. He took 6 wickets for just 29 runs to finish it off for Sri Lanka. In the final of the Coca-Cola Champions Trophy 2000 at Sharjah, Sri Lanka had posted a big total of 299 with help of 189 by skipper Jaysuriya. India had to bat really well to chase this total down. Hopes were lying with the opening duo of skipper Ganguly and Tendulkar. But Vaas with his tight bowling was quick to seal it for Sri Lanka very early in the innings. He sent the top four Indian batsmen back to the hut and ended up with 5 for 14. India was down and out because of these early blows from which they never recovered and finally got all out for only 54 runs. 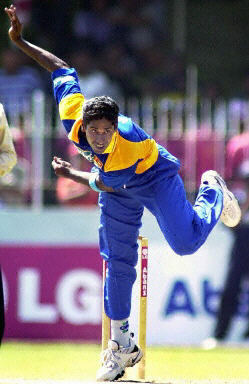 Sri Lanka bowled out Zimbabwe for only 38 in the first match of the triangular series in Sri Lanka in the year 2001. Vaas was all over the Zimbabweans from the word go. He took 8 wickets for just 19 runs to dismiss Zimbabwe for the lowest ODI total then. Canada later broke this record by getting all out for 36 during the 2003 World Cup, yet again, against Sri Lanka, but Zimbabwe were not at all late to reply, claiming back their record by getting all out for a mere 35 in 2004, and guess what, it was again the Sri Lankans who were the destroyers. 8 for 19 still stands as the best individual bowling figure in ODI history. 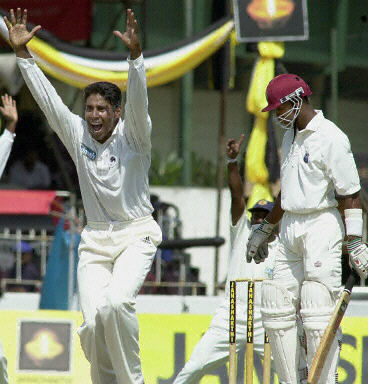 The 3rd and final Test of the series at SSC Colombo against West Indies in 2001 saw the best career performance of Chaminda Vaas. He picked up 14 wickets in the game, helping Sri Lanka complete the clean sweep. He used the conditions to the best of his ability. In the first innings he dismissed 7 West Indian batsmen. Lara scored a double ton in this innings and the other 10 batsmen could not even combine to score as many runs as he did. In the second innings, Vaas again took 7 wickets and Sri Lanka won the Test by 10 wickets. He became the only second pace bowler after Imran Khan of Pakistan to claim 14 wickets in a match in the subcontinent.